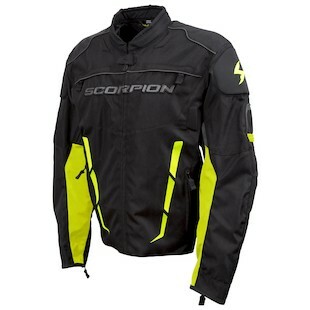 Spring is here and Scorpion is stepping out with four new jackets which aim to protect, perform, and prevent a massive expense to your wallet. From the angular technical feel of the Battalion, to the maximum airflow offered by the Eddy, and the unique artistic features of the Departed and the Underworld, each garment will bring something new to the table. 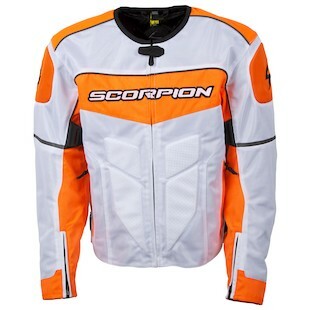 In looking ahead to the new riding season to come, Scorpion jackets are going to have an option to fit everyone. 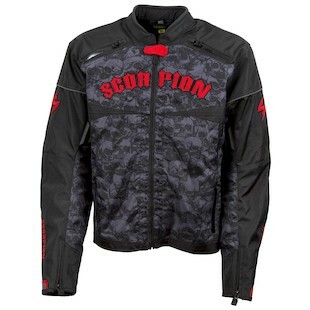 Leading the charge to the market will be the new Scorpion Battalion jacket. As it is packed full of nifty features that are often only found on far more expensive jackets, this one is going to be a hot commodity. For a jacket that will come in at under $200, it will incorporate a robust set of Sas-Tec CE armor at the elbows and shoulders, increased protection in the high impact areas with ballistic weave panels, and the ability to take the SAS-Tec SC-1/15 10mm back protector. At the same time, it will utilize special NightViz reflective areas to increase your visibility and work to prevent the use of the armor at all… because that is always better! Rounding out the great features is the removable EverHeat thermal liner vest, dual waist straps for a tailored fit, and a YKK main closure zipper. 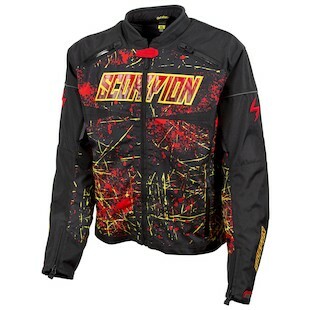 Lightening the load and preparing for the hot weather to come, the Scorpion Eddy jacket combines an aggressive moto fashion with the functionality to flow a ton of air. With an outer shell construction of vented, poly mesh and 600 denier nylon panels in the high abrasion zones of the elbows and shoulders, it works well to fit moto protection into a jacket that will work against the heat of the day. For the days when the heat of the sun is not on full display, however, the Eddy will also offer an AirGuard waterproof/windproof liner to provide a barrier to the chill of the elements. Additionally, the padded exterior panels across the stomach will provide riders with added comfort as they lean in tightly in the tuck position. For the more edgy riders, the Scorpion Underworld aims to keep you close to your ghoulish side. While making use of many premium features such as the Sas-Tec armor, NightViz reflective piping, ballistic weave paneling, and a removable EverHeat liner, this jackets uniqueness can be seen in the pattern of skulls which cover the front panel, inner arms, and back. For comfort, the jacket incorporates accordion stretch panels along the elbow as well as zippered vent intakes and exhausts which funnel air throughout the interior of the shell. To set off the design, the bright red accents of the Scorpion brand can be seen across the chest and with the “S” logo on the arms. Standing out the most among the crowd is the Scorpion Departed. Again packing all of the technology and protection of the Battalion, Eddy, and Underworld, this jacket will arrives with splash. While the guts of the jacket include the Sas-Tec armor in the shoulders and elbows, removable EverHeat thermal liner, and details such as the details as a neoprene collar, the exterior is completely individual. The high-octane color scheme has a very off-road/moto-x feel to it and loudly asserts itself as a jacket for the rambunctious rider. Looking ahead to the new riding season Scorpion has given motorcyclists of all backgrounds something to be excited about. The Battalion, Eddy, Underworld, and Departed all focus on protection and function without forgetting to add in some style. Additionally, they do so at a price point that will be very accessible to just about every rider.